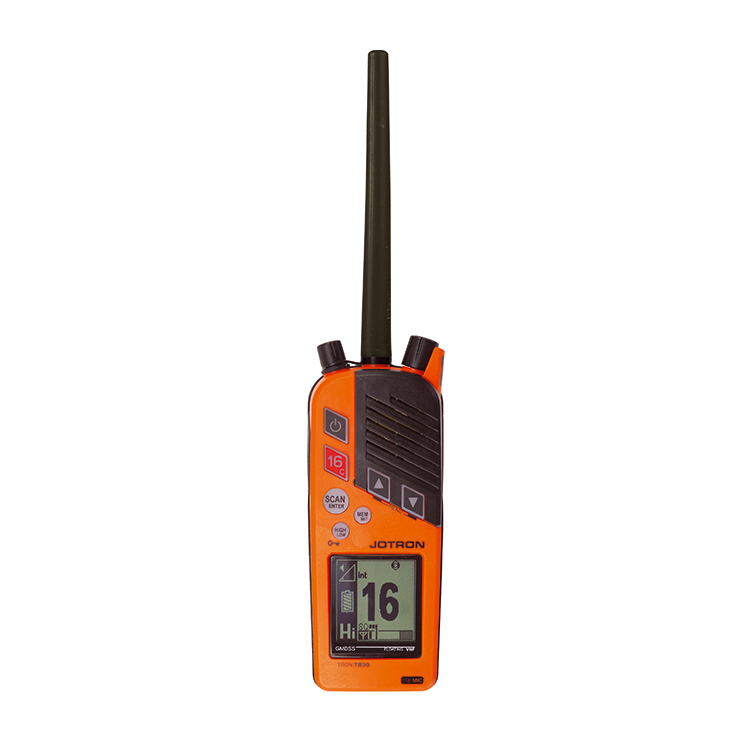 The Jotron Tron TR30 GMDSS and Maritime VHF Radio is the only GMDSS approved handheld radio in production that floats without a buoyancy cover. Tron TR30 GMDSS and Maritime VHF Radio meets all the requirements of the IMO for carriage on SOLAS vessels. This radio has the ultimate functional design. Every detail has been developed based on user functionality, both in an emergency situation and in general on board communications. 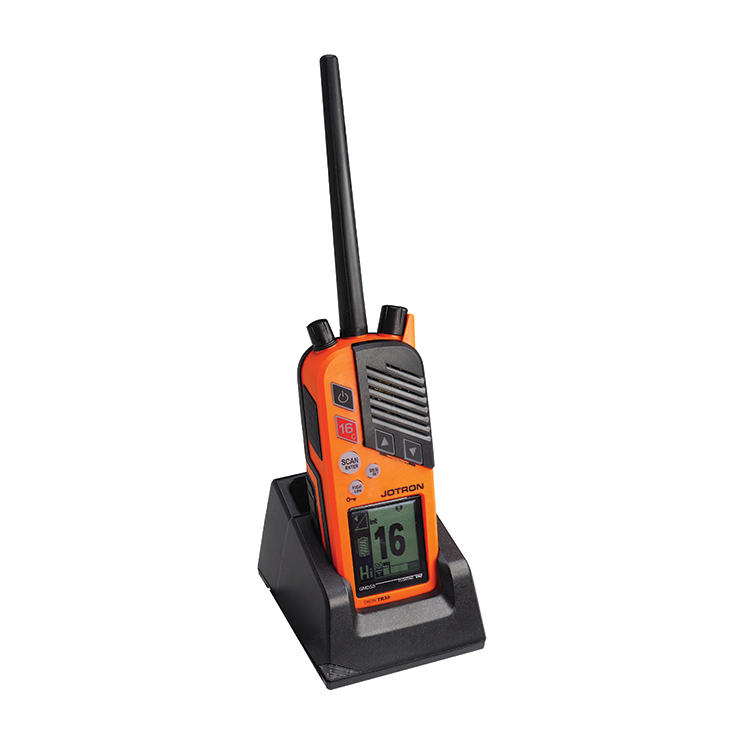 Tron TR30 GMDSS and Maritime VHF Radio switches automatically between standard simplex and duplex maritime channels and 21 emergency simplex channels depending on which battery, emergency or chargeable, is connected.